The mobile app boom has finally flattened. It was bound to happen eventually. Zero. It’s a sorry little number, especially for businesses spending resources on the development of native apps. Why? Research tells us that the average U.S.-based consumer with a smartphone downloads no apps per month. The mobile app boom has finally flattened. It was bound to happen eventually. What CTOs and their teams need to do at this point is look to the future, which means focusing on their businesses’ mobile browsers and seriously considering deleting their native apps. Adapting to this reality might not be easy, but it’s better (and wiser) than throwing money at a waning app market. Remember way back in 2008? 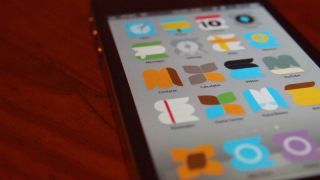 That year marked the kickoff of the App Store — everyone was fully enchanted with app technology. Download rates were off the charts, and independent app developers and publishers flourished. Now apps are still available, and while downloads do happen, their frequency is nothing to get excited about. Truth be told, the app markets for iOS and Android are supersaturated; it’s becoming increasingly difficult to compete with Facebook, Google, Snapchat and other behemoths. They’re just too prominent, with Facebook giving us social browsing, Slack offering work browsing, and WhatsApp keeping us tied to our friend networks. Rather than trying to put all of your eggs in the app basket, you need to shift momentum within your organization to the development of mobile browser-friendly websites, not native apps. Already have a corporate app that’s working for you and your customer base? You don’t have to ditch it, but rather than investing dollars into more bells and whistles, your money would be better spent optimizing your website for mobile browsing. Not only does Google favour mobile-ready sites, but mobile browsing is a strong traffic generator. Think of the native search on your iPhone or Android. You have a ready-made search box that allows you to perform local and web searches without opening a web browsing app. Based on the results that come back, you can immediately click to a website’s interior pages. It’s the fastest way to obtain relevant information at your fingertips in the form of deep linking. This isn’t easy to do with native apps, which typically have nonexistent or inconsistent linking capabilities due to their limited makeup. Want to expand your reach, SEO stature, and user experience? Invest in mobile web, not mobile apps. You’ll be part of a growing line of organizations who are taking this bold stance, including Twitter and Patagonia. In Twitter’s case, it gave the heave-ho to Vine, its video-sharing app. Although it has kept the Vine website intact, it no longer offers an App Store download. Twitter made this move as part of its mission to get leaner. Patagonia did likewise, completely shedding itself of its native app in favour of a mobile web experience. Hesitant to toss your native app to the curb? You may be setting yourself up for a few particularly unpleasant outcomes. First, you’ll be competing with giants like Snapchat and Facebook for app downloads if you stay in the game, and even Vegas high-rolling risk takers would quickly bet against you. Let’s look at the numbers: Statistics show that about 80 per cent of people’s “app time” is dedicated to their top three apps, which are usually some combination of Facebook, Instagram, WhatsApp, and other popular social apps. A website that’s mobile-friendly and appears in mobile search results is a better option. Additionally, Google hasn’t been shy about stressing the importance it places on mobile-friendly sites. In 2015, the company changed its mobile search results to accommodate websites that were mobile-ready. Google has continued this trend; it ranks non-mobile-friendly sites lower than ever before in search engine results. Users want to get to relevant information pronto, and that’s tough to do with apps that offer few or no deep links, or — worse yet — broken links. Apps just can’t seem to support the need for real-time link updates, which is why they become outdated and need to be retooled so frequently. This frustrates and annoys prospective and current customers and makes mincemeat of their loyalty. Getting past the app craze requires that companies hire business leaders with the confidence to focus on mobile websites, not native apps. When they do, a few important things will happen. It will take a while to occur, but users will begin to make business-to-consumer purchases using mobile websites rather than going to apps. Right now, purchases through apps are increasing over purchases through mobile websites by sevenfold, mainly due to pushes from social media apps driving buying behaviours across all demographics. However, when enough companies begin to develop strong mobile browser-friendly websites and easy-to-complete purchase paths, the tide will naturally turn. At the rate companies have been going, the app economy is expected to increase to more than $100 billion by 2020. That might sound counterintuitive to my argument, but the figure is based solely on the premise that brands and companies will continue to develop native apps. If they don’t and they focus on their mobile websites instead, the app economy will break down in favour of other economies. Native apps are merely “lite” versions of a company’s web presence. Consequently, the data behind those apps is also lacking substance. Marrying app usage data to general web presence data can be painful and tricky. After all, their metrics and engagement tend to be very different. A focus on mobile web instead of native app development ensures easier data alignment, streamlined user experience, and more robust customer views. Everybody knows that it can be challenging to turn the Titanic, but that doesn’t mean those working to connect with customers online shouldn’t try for the sake of a collective corporate longevity. Native apps have a shelf life, and even though it’s tricky to accurately determine their expiration dates, it’s plain to see that they’re not going to be useful forever. Companies willing to revamp their strategies and focus on mobile browsing, not native apps, will be poised to lead when the app cookie finally crumbles.